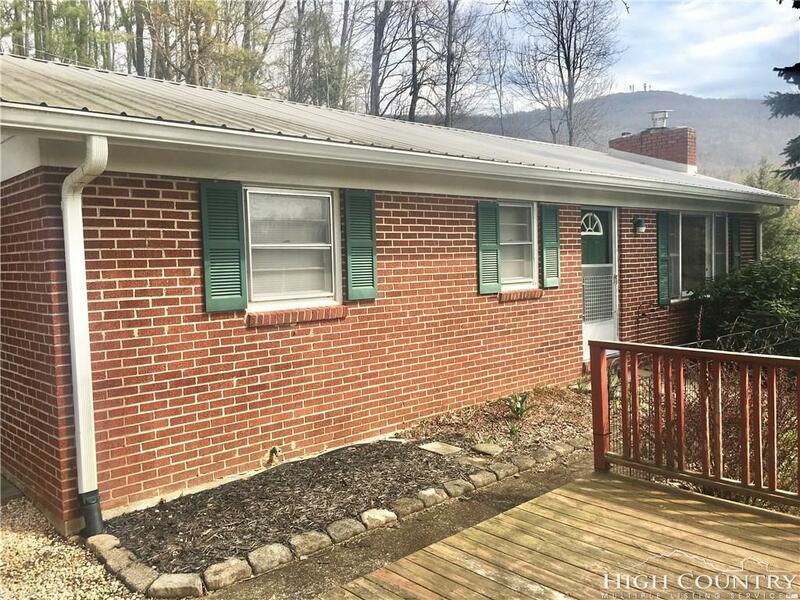 **Motivated Sellers** Beautiful brick ranch home near downtown Boone and App State!! This is a great opportunity to own a 3 bedroom/ 1 bath home with hard wood floors throughout. The living room features a wood burning stone fireplace and is open to the dinning area and kitchen. In addition to the 3 bedrooms, there is a finished bonus room in the basement that could be used as play/rec area, office or additional sleeping area. Tons of open storage in the 900 square foot unfinished section of the full basement. Home also includes an attached 1 car garage and open deck front porch with mountain views as well as a flat back yard for the kids or dogs. This home would make a great primary residence, mountain retreat, or rental home with Applecart transportation within walking distance.